If you need flexibility and the ability to visit multiple locations on your business trip, car hire is an essential element of your itinerary. Perhaps your business traveller requires a car for himself, or is travelling with a number of colleagues so a larger vehicle is needed. Let us take care of the arrangements. 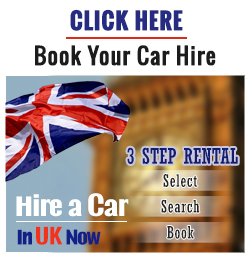 We work with the best car-hire firms to ensure that you can hire a car anywhere. We'll ensure that it's delivered and picked up from a place of our choice. All this, for preferential rates. We want to offer you the best Car Hire services in london at the best price. Call us today on 0208 905 8929 to see what makes us a fresh-thinking corporate travel specialist. Alternatively email us at sales@corporate.travel or click here to fill out an online enquiry form.